BESIX Group, the largest Belgian construction Group and a global construction player with a strong experience in the design and construction of high rise and complex buildings, and Proximus, the Belgian leading telecommunication and ICT company, today announced a strategic partnership. BESIX Group and Proximus will partner to co-create innovative solutions and deliver a superior end-user experience in the area of Smart Buildings. 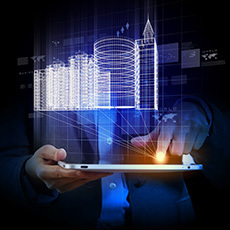 In the construction business, applying the concept of Smart Buildings translates into applying a layer of innovative solutions on top of existing or new infrastructure or buildings. In this context, Proximus and BESIX want to propose Smart Building solutions in four areas – Hospitality, Working Environment, Building Efficiency & Insights and Safety & Security – while putting the end-user experience at the center of their ambitions. “It is my pleasure to announce that together with Proximus, we are going to combine our respective and mutual assets to deliver advanced Smart Buildings solutions and create value for the end users, and for all Smart Buildings stakeholders”, says Rik Vandenberghe, CEO of BESIX Group. The spirit of this partnership is to operate in an open framework where further collaboration with other partners, like start-ups, is possible to guarantee the best solutions to clients. Multi-display True 4K/UHD digital signage media player with Intel® Core i3/5/7 CPU.